Save the bones! Keep them in the fridge if cooking within the week or freeze for future use. You can use them to make broth or soup! 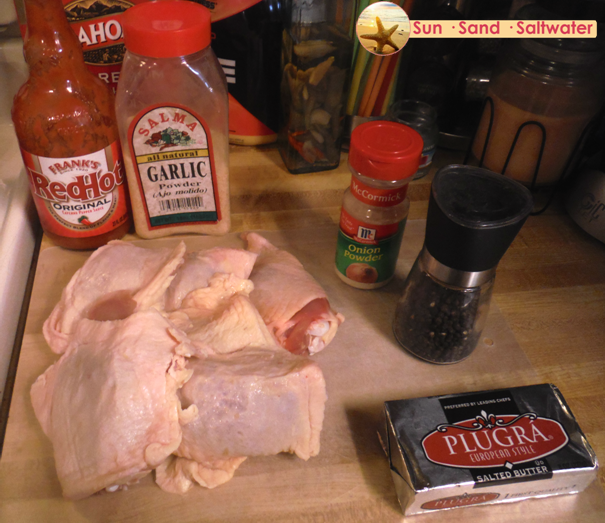 Season both sides of the chicken with garlic powder, onion powder, and pepper. Melt the butter and mix with Franks. 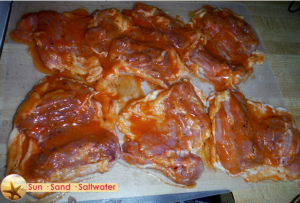 Brush both sides of the chicken with the sauce mixture. 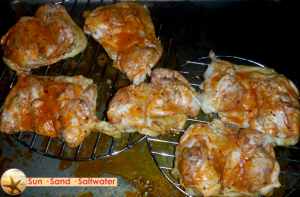 Preheat the oven to 350° and place the chicken thighs, skin side down, on wire racks in a sheet pan. 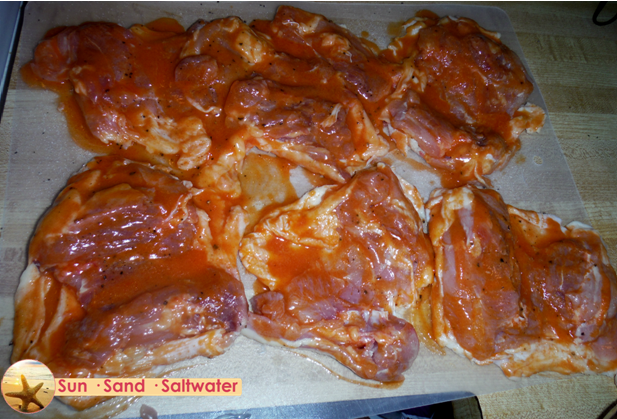 Keeping the chicken off the pan allows heat to circulate and will keep the sauce from burning. Cook for 35 minutes. 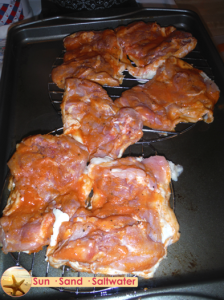 Remove the chicken from the oven, baste with sauce mixture, and turn skin side up. Turn the oven to broil and place the chicken on the top shelf. 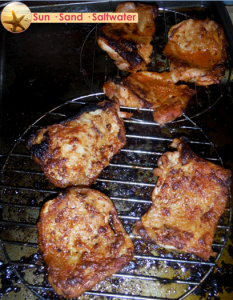 Cook for about 10-15 minutes, or until skin has reached desired crispness. Look at that beautiful crunchy skin. It’s actually a thing of wonder. True story. And there you have it! 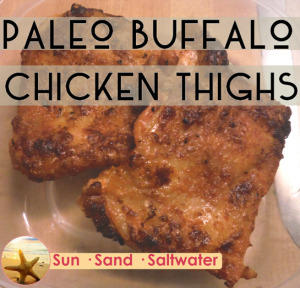 I make this bi-monthly or whenever I go out of my mind for Applebee’s boneless buffalo wings. Serve immediately to enjoy the crunchy skin. Even though I like to bring this for lunch, reheating leaves the skin soggy. #firstworldproblems Thanks for stopping by and have a beautiful day! Aloha! 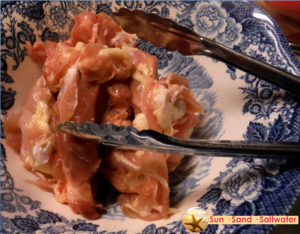 De-bone chicken thighs and reserve the bones, if desired. Be sure to leave skin intact. 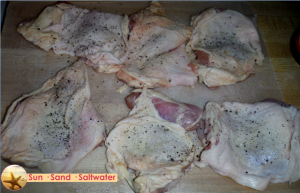 Season both sides of chicken with garlic powder, onion powder, and pepper. 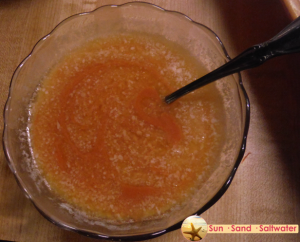 Melt the butter and and combine with Franks RedHot. Mix well. 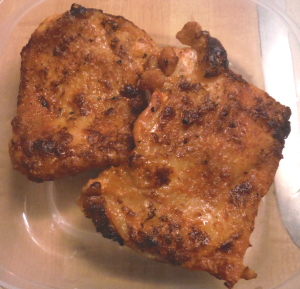 Coat chicken with sauce on each side. 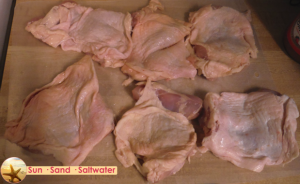 Place chicken skin side down on wire racks on a baking sheet. Cook for 35 minutes. 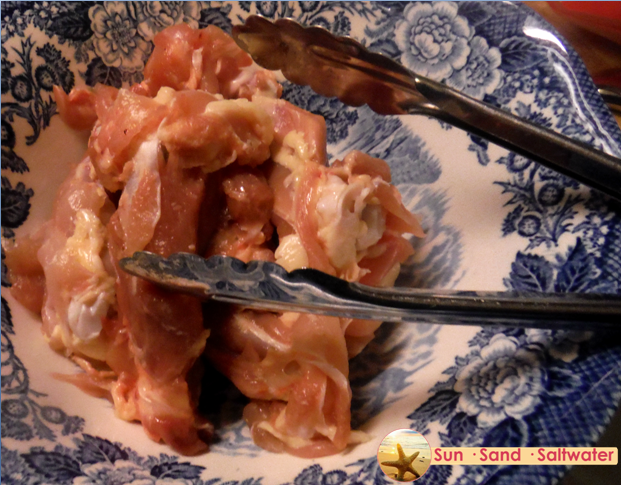 Remove chicken from the oven, coat with sauce, and turn skin side up. Turn the oven to broil and cook for 10-15 minutes more, or until desired crispiness. I love this. I’m making it tonight, its exactly what I was looking for!